Although we are far away from summer, most of us in our leisure time we make plans for next summer vacations. One of the things that come in our minds except from the exotic beaches, the clear waters and the golden sand is what kind of swimwear we are going to wear. If you want to feel special, fashionable and comfortable when you are at the beach may you should visit www.Hurley.com. Hurley is related with youth lifestyle and surfing. 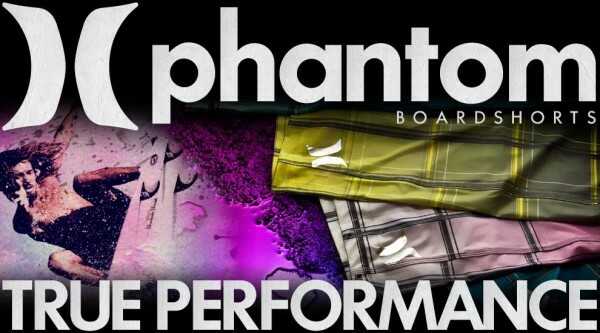 The brand last year unveiled the Phantom Fused 3 which is a comfortable and innovative boardshort made by recycled materials. What’s more, Hurley like his parent brand Nike provides mass customization tools offering the option to his/her customers to tailor made their own swimsuit-boardshort to their specific taste. Customers by visiting the site can have a pleasant and relaxing experience by choosing desired colors for the front and back body, the pocket, the waist band and many more. Customers feel like creating their own unique swimwear and becoming part of the brand.In addition Hurley offers the possibility to add text if someone wants a more personalized swimwear. The only potential drawback is that for a customized boardshort customers should pay a rather high price 125$ for a swimwear.